Are You Using a Licensed Installer? Home » Articles » Are You Using a Licensed Installer? One of the most common faults we find as TV antenna technicians, is poor installations carried out by unqualified or inexperienced installers. A recent job I attended in Marian, west of Mackay had a couple of problems due to poor installation. The main one was that the antenna wasn’t assembled correctly when it was installed, now because the antenna wasn’t working correctly the installer at the time put in an amplifier to try & fix the problem. No success there either. Your local Jims Antenna technicians are fully trained & hold Cert II & III in Digital Reception Technology. This job was an easy fix, assemble the antenna correctly, re-terminate a few connectors, and adjust the amplifier to an optimum setting. We were able to quickly solve a problem the customer has had to live with probably for 4-5 years. 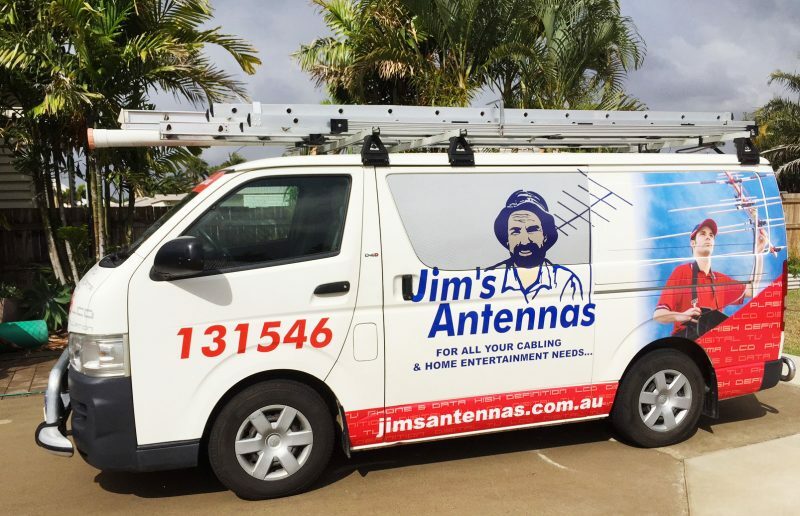 For a free, no-obligation quote call Jim’s Antennas on 131 546 or simply book online!